A Special Collection is a grouping of research that appears on the Community Research website or on its own separate website. It is usually collated around a special topic or area of interest. By collating research in a single place, from both this website and elsewhere on the web, it is easy for people to quickly find key resources. Community Research can create and manage collections on behalf of a network or organisation, or collections can be set up so you have full control of what is added. 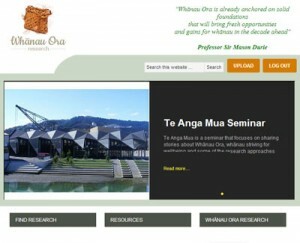 One popular special collection we have created is the Whānau Ora Research Website. This is housed within a separate website with a unique listing of research, news and other relevant information. How to get a Special Collection? We will set up new Special Collections in a way that suits your needs and budget. Before we do any development work we’ll talk with you so we understand what you’re trying to achieve and what research you already have in hand. It is easier than you think, so contact us for more details.